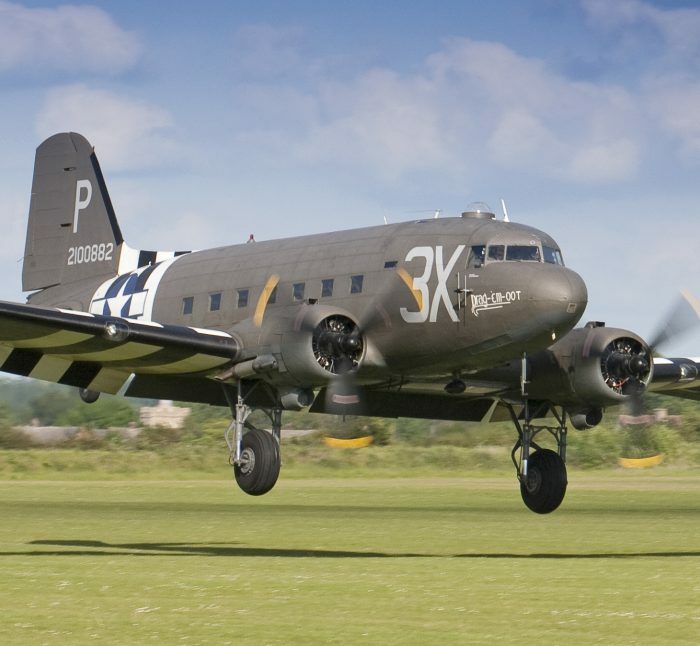 After a long search for the right aircraft we have acquired ‘Drag ’em Oot’, a 1944 C-47 Douglas Sky Train. She participated in the air assault during D-Day, dropping 18 paratroopers of the US 82nd Airborne Division just behind the Normandy beach heads. She returned safe to the UK and after a second mission that very same day, she started to resupply the troops in France. She participated in the biggest paradropping operation in history: Operation Market Garden in September 1944. In fact she still sports over 30 bullet holes from these operations alone. 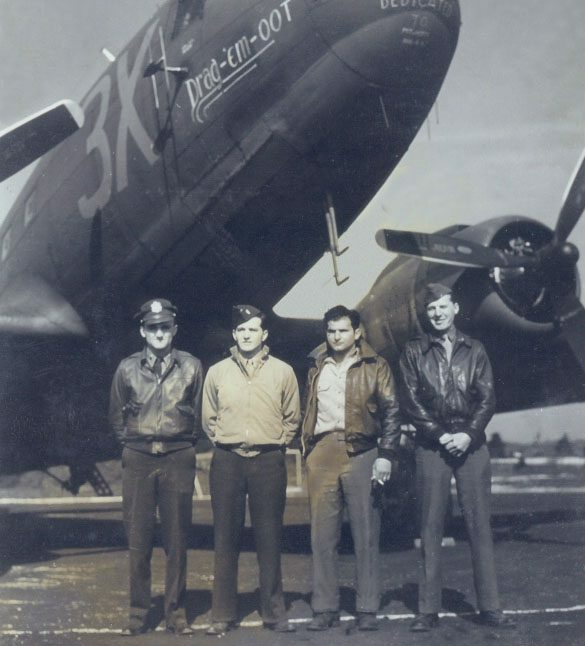 Throughout early June, Drag ‘em Oot is committed to parachuting in Normandy to commemorate D-Day. Working with some of the most experienced parachuting teams in Europe, DeO will carry and drop over 100 people equipped with round canopy parachutes just as she did over 70 years ago. 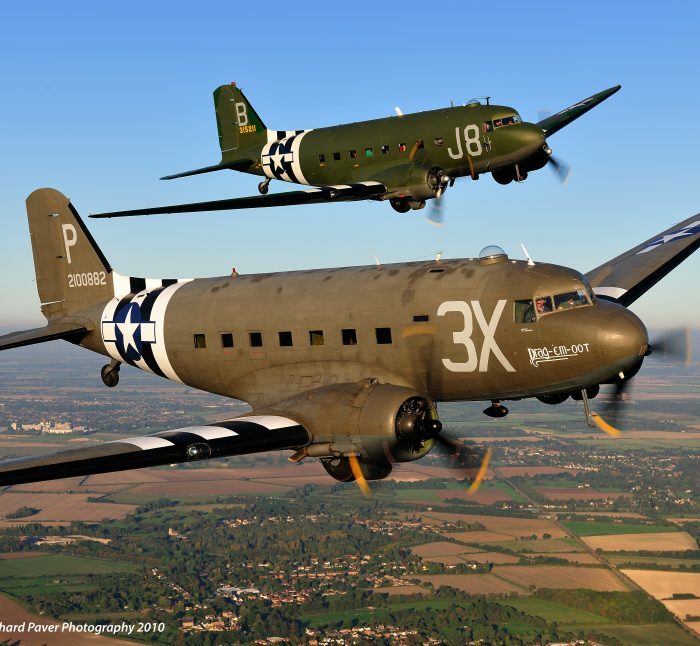 Drag ‘em Oot will be returning to the Aero Legends base at Headcorn Aerodrome on the 5th June in time for the launch of Aero Legends sister company, Combat Legends. As such there will be the rare opportunity to Fly With ‘Drag ‘em Oot’ in our de Havilland Devon on the 6th June. Available from £399, the flight will include a breath taking close formation flight with Drag ‘em Oot and a private tour of the aircraft once you’re back on the ground. The reception for flight will be held in our newly opened WW2 dispersal hut at Headcorn Aerodrome. Air to air photo shoots like this don’t get any better!